Katie is originally from Ohio and attended the University of Dayton, obtaining a Bachelor of Science in Exercise Science & Pre-Physical Therapy. 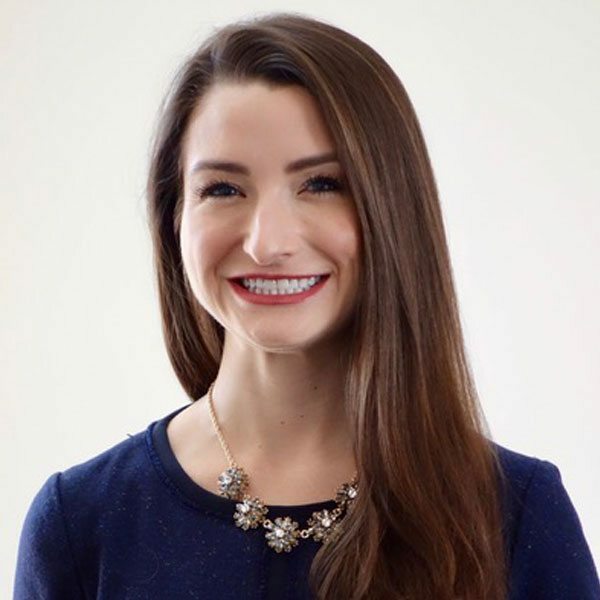 Next, she completed the Physician Assistant Program at Jefferson College of Health Sciences in Roanoke, VA. Lastly, Katie earned her Masters in Physician Assistant Studies from the University of Nebraska in 2012. After graduation, Katie moved to Charlotte and has been practicing dermatology in the area ever since. She joined the team at DLVSC in 2016, where she serves as an excellent asset to both our physicians and practice. Katie is responsible for assessing & treating skin care concerns for our patients, as well as conducting physical exams & consultations. She has a special interest in acne management and preventative skin care. Away from the office, Katie likes spending time with her husband. Together they enjoy traveling and attending concerts; but they especially love hanging out with their two canine sidekicks. What is a Physician Assistant? PAs are health care professionals licensed to practice medicine under the supervision of a physician. As part of their comprehensive responsibilities, PAs conduct physical exams, diagnose & treat illnesses, order & interpret tests, counsel patients on preventive health care, assist in surgery and write prescriptions. Within the physician/PA relationship, physician assistants exercise autonomy in medical decision-making and provide a broad range of diagnostic and therapeutic services. A PA’s practice may also include education, research, and administrative services. Katie is board-certified by the National Commission on Certification of Physician Assistants and is a member of the American Academy of Physician Assistants and the Society of Dermatology Physician Assistants.